Driving under the influence (DUI) of drugs or alcohol is reckless and negligent. It places both the driver and others at an increased risk of suffering catastrophic injuries or even death. John B. Kenison, Jr. is a DUI accident attorney who will rely on his decades of experience working with personal injury cases to arrive at a settlement or verdict to compensate victims for their losses. If you or a loved one was injured in a DUI accident in Manchester, NH, you need a compassionate attorney on your side. Contact Kenison Law Office, PLLC today to discuss your case and legal options with Mr. Kenison. 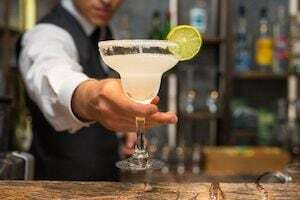 New Hampshire has third-party liability laws that make bars or party hosts who over-serve drunk drivers potentially responsible for the damages caused. In New Hampshire, as in most other states, drivers with a blood alcohol content (BAC) level more than .08 percent can be charged with DUI. Drivers with more than .04 percent and minors with any amount of alcohol in their system are also guilty of DUI. Driving under the influence of drugs, even certain prescription medications, can also result in a DUI conviction. In the state of New Hampshire, it is possible that more people than the drunk driver are responsible for the accident. New Hampshire has third-party liability laws that hold bars or party hosts who over-serve drunk drivers potentially responsible for the damages caused. Victims of DUI accidents should work with an attorney like Mr. Kenison, who has represented many victims and who can help determine whether third-party liability applies and pursue damages from all responsible parties. Mr. Kenison can fight for the full amount of compensation victims and their families deserve after a DUI accident. Mr. Kenison has achieved settlements in motor vehicle accident cases in excess of $300,000. He can fight for the full amount of compensation victims and their families deserve after a DUI accident. He has an extensive network of connections who can aid in investigations, accident reconstruction, and providing expert testimony. These professionals come from a variety of different backgrounds and industries and can ensure DUI accident victims get the compensation they deserve. If you or your loved one has suffered serious injuries in a DUI accident, schedule a free consultation with Mr. Kenison today by contacting our law office by phone at (603) 471-3550. You can also contact Kenison Law Office online. Mr. Kenison will review your case in detail and go over the next steps in the legal process.